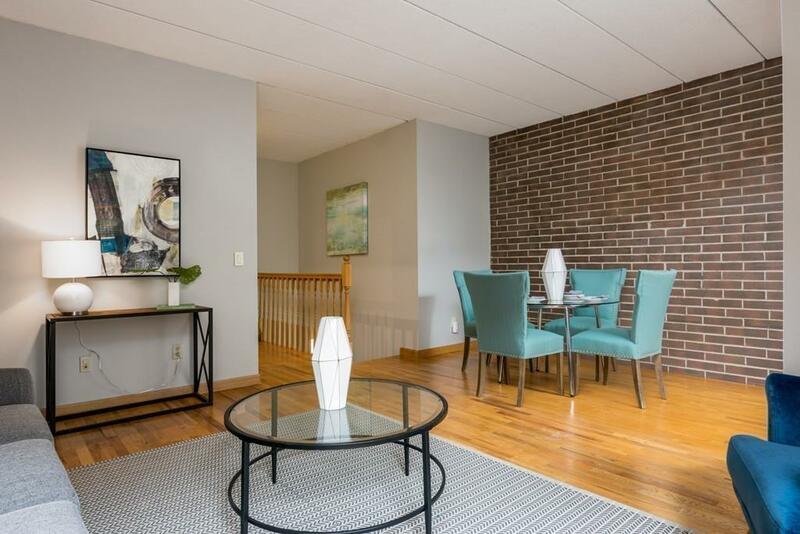 When you enter this unit you are greeted with an open floor plan, hardwood floors and exposed brick. The kitchen has nice cabinetry, stainless steel appliances and quartz countertops. Off of the main living space is a balcony as well as a half bathroom with quartz countertops. Both bedrooms are spacious with great closet space. Full bathroom showcases marble counter tops and marble floors and plenty of storage space. This location is very convenient, located across the street from the Englewood C Line train stop. Surrounded by many restaurants, shops and grocery stores (Star Market, Trader Joes, Whole Foods etc.). Convenient to schools: Runkle Elementary School is ~0.4 miles away and Brookline High School is ~1.2 miles away. Surrounded by many parks and playgrounds including the Jean B. Wildstein playground which is less than 0.2 miles away. Other area highlights: Boston College, Chestnut Hill Reservoir. One garaged parking space is included.